A protocol provides a common digital language through which we communicate with others on Internet. A protocol is similar to programming language protocols which are based on specific rules and regulations for computing and are designed for efficiency. Each rule is defined in different terms and is assigned a unique name. Protocols specify the standards for communication and provide detailed information on processes involved in data transmission. We can't even think of using the Internet without Protocols. We see a better way to preserve value for people, brands, and society. Backed by blockchain, these records are impossible to destroy, forge, or breach and they capture a lifetime of product information. Arianee is building the first perpetual, secure protocol for trusted digital certificates for all the world’s objects. 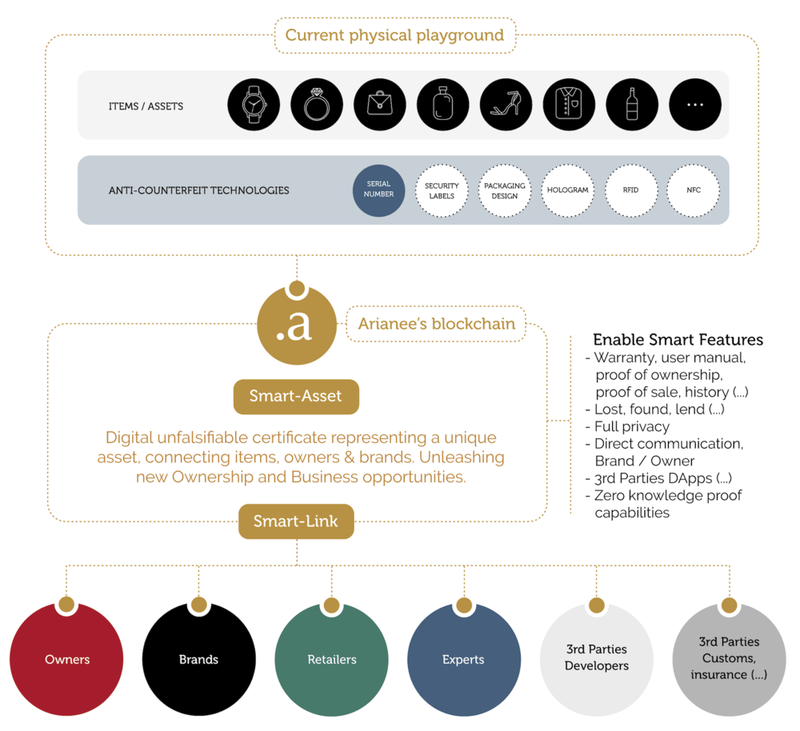 Arianee is a protocol, tomorrow your consumers will have a native wallet on their phones to welcome the digital trusted certificate you will have created for them using softwares that will simply integrate the protocol. But tomorrow is not today! So we have developed a wallet app for your clients and a web interface for your clients. Hence, we can start creating and distributing certificates immediately! With The Arianee wallet you can use digital passports on your Phone to verify and prove the authenticity of your most precious items. Digital passports include the item’s essential information, its origin and its history enabling you to follow your item all along its lifetime. Tomorrow, these passports will allow you to access digital services and interact online and IRL with your favorite brands while preserving your personal privacy. The Brand Data Hub is the control center for brands issuing digital passports for their products. This webapp enables brands to issue digital passports, distribute them and send messages to the current owner of the product. The Brand Data Hub comes with a dashboard to identify key events throughout the product's lifetime and measure the reach of messages.